We include the papers on this page to ensure timely dissemination on a noncommercial basis. Copyright and all rights therein are maintained by the authors or by other copyright holders, notwithstanding that they have offered their works here electronically. It is understood that all persons copying this information will adhere to the terms and constraints invoked by the copyrights. These works may not be reposted without the explicit permission of the copyright holder. A complete list of publications can be found at the Research Information System of the Alpen-Adria-Universität. K. Gallaba, C. Macho, M. Pinzger, and S. McIntosh. In Proceedings of the International Conference on Automated Software Engineering (ASE), to appear, IEEE/ACM, 2018. V. Frick, T. Grassauer, M. Pinzger, and F. Beck. In Proceedings of the International Conference on Software Maintenance and Evolution (ICSME), to appear, IEEE, 2018. V. Frick, C. Wedenig, and M. Pinzger. In Proceedings of the International Conference on Software Maintenance and Evolution (ICSME), Tool Demo Track, to appear, IEEE, 2018. F. Spegni, L.Spalazzi, G. Liva, and M. Pinzger. In Proceedings of the International Workshop on Security and High Performance Computing Systems (SHPCS), to appear, IEEE/ACM, 2018. S. Beyer, C. Macho, M. di Penta, and M. Pinzger. In Proceedings of the International Conference on Program Comprehension (ICPC), pp. 211-221, IEEE, 2018. G. Liva, M. T. Khan, F. Spegni, L.Spalazzi, A. Bollin, and M. Pinzger. In Proceedings of the International Conference on Formal Methods in Software Engineering (FormaliSE), pp. 50-59, IEEE, 2018. L. Vidács and M. Pinzger. In Proceedings of the International Workshop on Machine Learning Techniques for Software Quality Evaluation (MaLTeSQuE), pp. 31-36, IEEE, 2018. D. Serpanos, M. T. Khan and H. Shrobe, IEEE Design and Test, vol. PP, issue 99, to appear, 2018. P. Michalopoulos, V. Ieronymakis, O. Alrawi, M.T. Khan and D. Serpanos. In Proceedings of the International Conference of Engineering Against Failures (ICEAF), to appear, 2018. M. T. Khan, D. Serpanos, H. Shrobe, Proceedings of the IEEE, vol. 106, no. 1, pp. 129-143, January 2018. N. Dintzner, A. van Deursen, and M. Pinzger. Journal of Empirical Software Engineering (EMSE), online, pp. 1-48, Springer. C. Macho, S. McIntosh, and M. Pinzger. In Proceedings of the International Conference on Software Analysis, Evolution, and Reengineering (SANER), to appear, IEEE, 2018. G. Liva, M. T. Khan, and M. Pinzger. In Proceedings of the International Working Conference on Source Code Analysis and Manipulation (SCAM), pp. 91-100, IEEE, 2017. M. T. Khan, D. Serpanos, H. Shrobe, Electronics, 6(3):58, August 2017. R. Robbes, Y. Kamei, and M. Pinzger. Empirical Software Engineering (EMSE), vol. 22, no. 3, pp. 1143-1145, Springer, 2017. C. Macho, S. McIntosh, and M. Pinzger. In Proceedings of the International Conference on Mining Software Repositories (MSR),pp. 368-378, IEEE/ACM, 2017. N. Dintzner, A. van Deursen, and M. Pinzger. Journal of Software & Systems Modeling, vol. 16, no. 1, pp. 55-76, Springer, 2017. G. Liva, F. Spegni, L. Spalazzi, A. Bollin, M. Pinzger. Technical Report, Alpen-Adria-Universität, 2017. Martin Pinzger and Sunghun Kim, Empirical Software Engineering (EMSE), vol. 21, no. 5, pp. 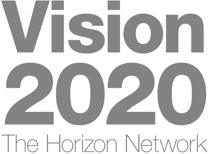 2033-2034, 2016. M. T. Khan, D. Serpanos, H. Shrobe, In: Proceedings of the MARTCPS’16, IEEE World Forum on Internet of Things. IEEE, pages 100-105, 2016. S. Beyer and M. Pinzger. In Proceedings of the International Conference on Mining Software Repositories (MSR), pp. 430-440, 2016. N. Dintzner, A. van Deursen, and M. Pinzger. In Proceedings of the International Conference on Mining Software Repositories (MSR), pp. 85-96, 2016. K. Hodnigg and M. Pinzger. In Proceedings of the Working Conference on Software Visualization (SoftVis), Tool Demo, pp. 210-214, IEEE, 2015. S. Beyer and M. Pinzger. In Proceedings of the International Conference on Program Understanding (ICPC), pp. 94-103, IEEE, 2015. N. Dintzner, U. Kulesza, A. Van Deursen, and M. Pinzger. In Software Reuse for Dynamic Systems in the Cloud and Beyond, Lecture Notes in Computer Science, pp. 1-16, Springer 2015. F. Hermans, M. Pinzger, and A. van Deursen. Journal of Empirical Software Engineering (EMSE), vol. 20, no. 2, pp. 549-575, Springer, 2015. A. Bollin, D.Rauner-Reithmeir. In Proceedings of the 2nd FME Workshop on Formal Methods in Software Engineering, co-located with ICSE 2014. Hyderabad, India, 2014. A. Bollin, E. Hochmüller, R. T. Mittermeir, T. Cowling, R. LeBlanc. Klagenfurt, Austria. April, 2014. Cs. Szabo, A. Bollin. In Proceedings of the 4th International Conference on Information Technology and Development of Education ITRO 2014. Zbornik Radova. Zrenjanin, June 2014. Cs. Szabo, A. Bollin. In Journal for Information Technology, Education Development and Teaching Methods of Technical and Natural Sciences. Volume 4, Number 1, July 2014. S. Beyer and M. Pinzger. In Proceedings of the International Conference on Software Maintenance and Evolution, Early Research Achievements (ICSME ERA), pp. 531-535, IEEE Computer Society, 2014. D. Romano and M. Pinzger. In Proceedings of the World Congress on Services (SERVICES), pp. 478-485, IEEE, 2014. G. Gousios, M. Pinzger, and A. van Deursen. In Proceedings of the International Conference on Software Engineering (ICSE), pp. 345-355, ACM and IEEE Computer Society, 2014. M. Pinzger and D. Poshyvanyk. Journal of Software: Evolution and Process, vol. 26, no. 1, pp. 1-2, John Wiley & Sons, 2014. H. H. Mui, A. Zaidman and M. Pinzger. In Electronic Communications of the EASST, vol. 63, 2014. N. Dintzner, A. van Deursen and M. Pinzger. In Proceedings of the International Workshop on Variability Modelling of Software-intensive Systems (VAMOS), pp. 22:1–22:8, ACM, 2014. M. Pinzger and G. Antoniol. Empirical Software Engineering, vol. 18, no. 5, pp. 857-858, Springer, 2013. D. Romano and M. Pinzger. In Proceedings of the International Conference on Software Maintenance, Early Research Achievements (ICSM ERA), pp. 268-271, IEEE Computer Society, 2013. A. Guzzi, A. Bachelli, M. Lanza, M. Pinzger, and A. van Deursen. In Proceedings of the Working Conference on Mining Software Repositories (MSR), pp. 277-286, ACM, IEEE Computer Society, 2013. A. Bollin. In Journal of Software: Evolution and Process. Pre-print published online in Wiley Online Library (wileyonlinelibrary.com). 2013. DOI: 10.1002/smr.1596. A. Bollin, E. Hochmüller, L. Samuelis. To appear in Proceedings of the 26th IEEE Conference on Software Engineering Education and Training. Los Angeles. 2013. A. Bollin. To appear in Proceedings of the FME Workshop on Formal Methods in Software Engineering. Los Angeles. 2013. A. Bollin and A. Tabareh. In electronic Proceedings in Theoretical Computer Science, pp 33-40, Open Publishing Association, 2012. A. Bollin, E. Hochmüller, R. Mittermeir, L. Samuelis. In Proceedings of the IEEE Conference on Software Engineering Education and Training (CSEE&T), pp. 62-75, IEEE Computer Society, 2012. A. Bollin, E. Hochmüller, L. Samuelis. In Proceedings of the IEEE Conference on Software Engineering Education and Training (CSEE&T), pp. 85-87, IEEE Computer Society, 2012. D. Romano, P. Raila, M. Pinzger, and F. Khomh. In Proceedings of the Working Conference on Reverse Engineering (WCRE), pp. 437-446, IEEE Computer Society, 2012. F. Hermans, M. Pinzger, and A. van Deursen. In Proceedings of the International Conference on Software Maintenance (ICSM), pp. 409-418, IEEE Computer Society, 2012. F. Hermans, M. Pinzger, and A. van Deursen. In Proceedings of the European Spreadsheet Risks Interest Group Conference (EuSpRiG), CoRR, 2012. E. Giger, M. D’Ambros, M. Pinzger, H. C. Gall. In Proceedings of the International Symposium on Empirical Software Engineering and Measurement (ESEM), pp. 171-180, IEEE Computer Society, 2012. D. Romano and M. Pinzger. In Proceedings of the International Conference on Web Services (ICWS), Application and Experience Track, pp. 392-399, IEEE Computer Society, 2012. E. Giger, M. Pinzger, H. C. Gall. In Proceedings of the Working Conference on Mining Software Repositories (MSR), pp. 217-226, ACM, IEEE Computer Society, 2012. F. Hermans, M. Pinzger, and A. van Deursen. In Proceedings of the International Conference on Software Engineering (ICSE), pp. 441-451, ACM, IEEE Computer Society, 2012.  A complete list of publications can be found at the Research Information System of the Alpen-Adria-Universität.